Consultants, trainers, advisors, mentors, etc. I've likely missed some items. A chart that makes sense of this ecosystem at a glance could be very useful to pass around as posters and include in blog posts, etc.. 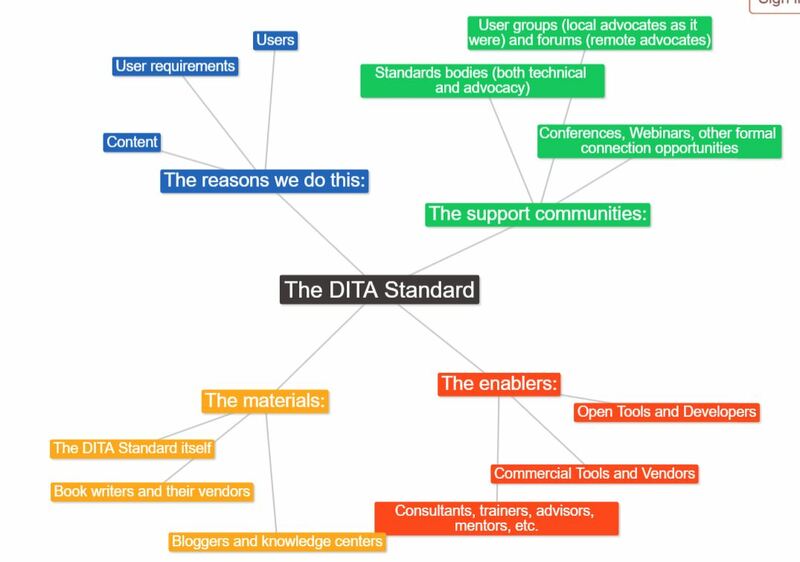 This would contain no detail about DITA itself, but rather highlight the amazing resources and how they relate to the whole.